I’m glad to know ya Friday. Friday heralds the beginning of the weekend and I can sleep in on the weekends (for now anyway). However, sleeping in usually means I get up at 9 instead of 7. I would like it if my stomach would just let me sleep in til, say….11:00. That would be a bonus. This weekend I plan on going to a local bookfest that features a few free writing workshops. The writer’s groups workshop is what I have my mind set on. Whatever you are doing this weekend have fun doing it. Just thought I’d start the post with a flower today. 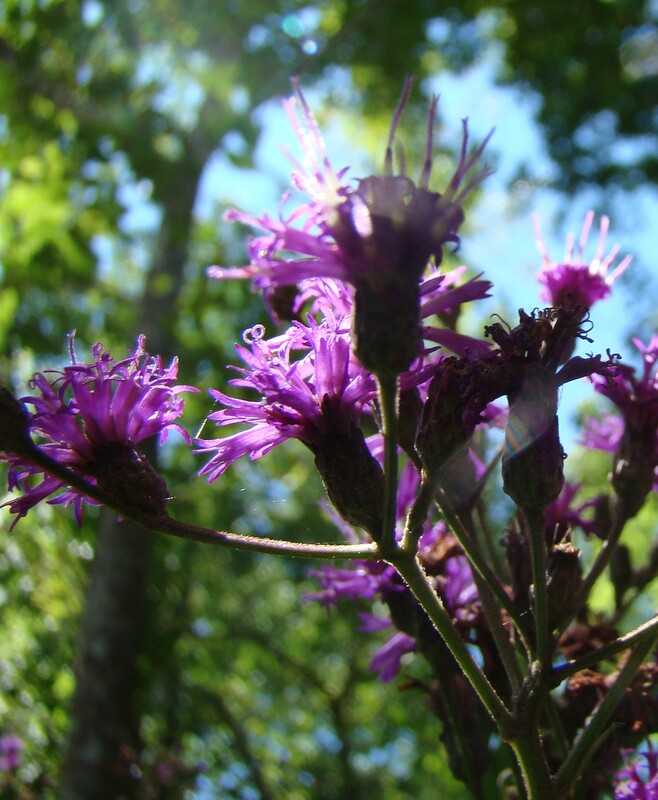 It’s title is Dream Flower and it is one of my photos that I have chosen to be in a poetry book I am getting together. I’m pairing up photos with poems I have written and if there is a photo that has no poem to fit it, then I shall write one for it. And that was an oddly long sentence, I think. My other feeling good Friday comment is a book review of sorts. I have been writing my current novel since March and I know where it is going, I have the basic bones of it sketched/written out. But (and it is kind of a big but), I’m getting a little stuck on the how it gets there, or rather gets to the ending I have already written. With this in mind I went to my bookshelf to see what book jumps (not literally, although that’d be fun) out at me. What I saw were two books actually. One is Creative Visualization by Shakti Gawain and the other is if the Buddha got stuck by Charlotte Kasl. Yes both books are in the self help region of the book stores but that is what I needed – to help myself – become unstuck. So I flipped through them and read the sections that caught my attention more than the others. And it is helping. So I have decided to re-read them from cover to cover making notes along the way. These notes are just quotes that I’ll write out on index cards and post on the wall next to my desk to help me stay on track, focused, and most of all unstuck. Ha – I could write them on sticky notes and call them my unstuck sticky note quotes. See now you’re smiling and possibly shaking your head. Feeling Good Friday has touched you. 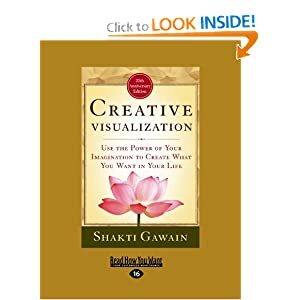 Creative Visualization by Shakti Gawain is a great book about creative visualization and how it can help you to focus on what you want in your life. She takes you step by step through mental block busting. It’s all about using your imagination to help you stay energized. Because the realm of imagination is not only for kids. If it was then there would be no books written by adults, or rather no fiction books. 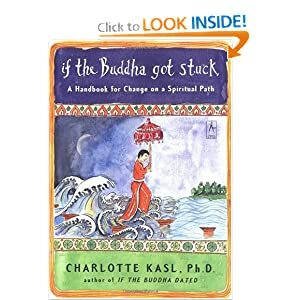 if the Buddha got stuck by Charlotte Kasl is another great book for recognizing how we keep ourselves stuck by our self-limiting thought patterns and behaviors. Taught from a spiritual point of view that is fun, light-hearted and I say again FUN. Charlotte takes on a journey of self-awareness discovery that can lead you to your inner truths and harmony and fun. Write on and on and if you get stuck then get unstuck and write some more.